Shintaro Fujinami was included on Samurai Japan’s roster for next week’s games against Europe probably because the Hanshin Tigers can give the ball to Randy Messenger, coming off an excellent 2014, or stalwart Atsushi Nomi on opening day. Fujinami is probably the biggest name on the Japan pitching staff, a group made up of good players, though none who might be considered the ace of his club’s staff, or in line for the opening day start. So Fujinami will be left to mow down the European lineup for a few innings on either Tuesday or Wednesday, while his teammates will continue their preparations for the season at home against the Hiroshima Carp. 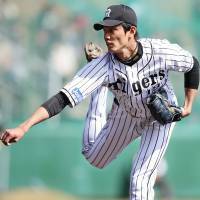 The Tigers right-hander got in a last bit of work before national duty on Friday against the Seibu Lions, where during a decent outing he turned heads by unfurling three consecutive fastballs clocked at 157 kph during the seventh inning. It’s early March, so it’s still too soon to get overly excited about anything just yet, but it was at least a glimpse of what the 20-year-old right-hander can do. Fujinami has the talent to be successful and the tools to dominate hitters. The question now is whether or not this is the year he brings the two in concert with each other and lifts himself into the upper-tier of NPB pitchers, where he’ll rub shoulders with the likes of Chihiro Kaneko, Kenta Maeda, or even fellow 20-year-old Shohei Otani. Fujinami had a good season in 2014, finishing 11-8 with a 3.53 ERA, 1.31 walks plus hits per innings pitched (WHIP) and 172 strikeouts in 163 innings. He showed signs of growth and maturity during the season, enough that Hanshin fans might be hoping for a real breakout season this year. Fujinami has the velocity, that’s for sure. In 2014 his fastball averaged 149.7 kph, according to Data Stadium, second only to Otani’s 152.5 kph among starters, and had a 8.2 swinging strike percentage with it. He also had a good cutter last season, which he had an 18.7 swinging strike percentage with. Fujinami got pretty good run out of his forkball as well, generating a 26.0 swinging strike percentage, with batters hitting .222 off it. His 2.81 fielding independent pitching (FIP) average was the best in the Central League last season, so he may not have gotten all the credit he deserved in terms of ERA, his batting average on balls in play was .335, nearly 30 points above the league average. There’s room on his lithe frame for a little more muscle and he can still improve his command and polish up his repertoire, but he has a good baseline skill set. It’s Otani’s growing stature that Fujinami may find himself compared to most often, as both came into the NPB ranks as highly regarded high schoolers three years ago. They’d both pitched in the National High School Baseball Championship in 2012, Otani for Iwate Prefecture’s Hanamaki Higashi High School and Fujinami for Kansai powerhouse Osaka Toin. Otani was already the darling of the scouting community, among interested parties in both NPB and MLB, by then, but there were more than a few observers who came away more impressed by Fujinami, who pitched his team to the title that summer. As rookies Fujinami was in the Tigers’ opening day rotation while Otani dabbled with being a position player before making his pitching debut during the middle of the season. Fujinami was 10-6 with 125 strikeouts and a 2.75 ERA in 23 starts as a rookie while Otani was 3-0 with 46 strikeouts and a 4.23 ERA in 11 starts. A slight separation appeared in 2014. Otani graduated from two-way curiosity to full-fledged star last season, going 11-4 with a 2.61 ERA, 2.41 FIP, 1.17 WHIP and 179 strikeouts in 24 starts (while also hitting .274 with 10 home runs and 31 RBIs as a part-time DH), and finished third in the Pacific League MVP voting. Other members of the 2012 draft class have been receiving high praise as well. 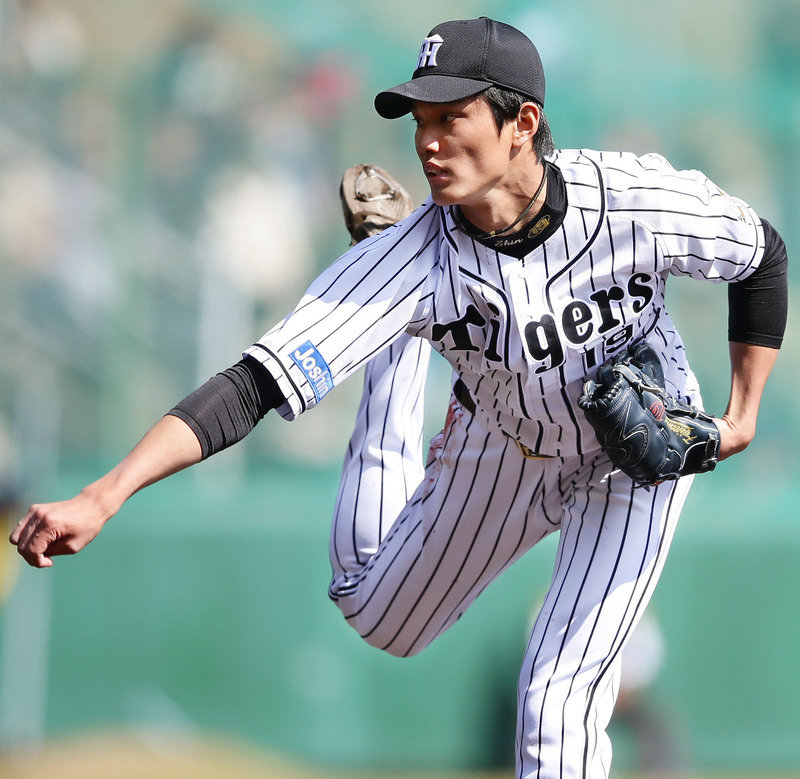 The Tokyo Yakult Swallows’ Yasuhiro “Ryan” Ogawa was the 2013 rookie of the year in the CL and Tokoku Rakuten Golden Eagles pitcher Takahiro Norimoto won the prize in the PL. The Yomiuri Giants’ pick that year, righty Tomoyuki Sugano, was the CL MVP in 2014. Otani hasn’t won any hardware, though he was recognized for a historic 10-win, 10-homer 2014 and seemed to have made The Leap last season. Now only time will tell if 2015 is finally Fujinami’s time to rise.